Paul Sorensen is Senior Software Manager at Cambridge Systematics. He received his PhD in Geography at the University of California, Santa Barbara, and his MA in Urban Planning at the University of California, Los Angeles (psorensen@camsys.com). For much of the past century, federal and state taxes on gasoline and diesel have provided the majority of funding for US highway construction and maintenance. Fuel taxes perform well in this role: they distribute the tax burden among drivers in rough proportion to their use of the road network, are inexpensive to administer, and offer a modest incentive to buy and drive fuel-efficient vehicles. Download the PDF. People often complain about traffic in Los Angeles, and with good reason. The Texas Transportation Institute publishes annual traffic statistics for metropolitan areas across the United States, and the greater Los Angeles region routinely tops the list for such measures as total congestion delays and congestion delays per peak-period traveler. 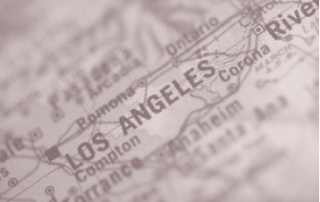 Against this backdrop, RAND was recently asked to evaluate and recommend near-term strategies that could meaningfully reduce LA’s traffic within a period of five years or less. Note that this timeframe precludes land use policies, which take longer to bear fruit, and major infrastructure investments. In addressing this question, we found it helpful (a) to review general insights from the transportation literature on the causes and potential cures for traffic congestion, and (b) to diagnose the specific local conditions that contribute to the notoriously severe congestion in Los Angeles. Who should pay for roads? How should they pay? These frequently debated questions echoed through the first two decades of the last century as motor vehicle use accelerated. 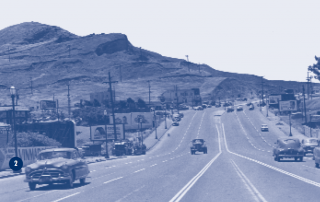 It seemed only fair to ask users to pay for roads, but collecting road– side tolls was costly, slowed traffic, and was feasible on only the most heavily traveled highways. Paying for roads with general tax revenues was far simpler, but was seen as unfair to the many people without cars or trucks who would be forced to pay for roads that they would seldom use. 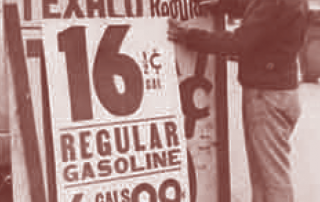 The eventual solution—the motor-fuel tax—was a brilliant one: the tax was cheap and easy to collect, and it charged travelers in rough proportion to their use of roads.